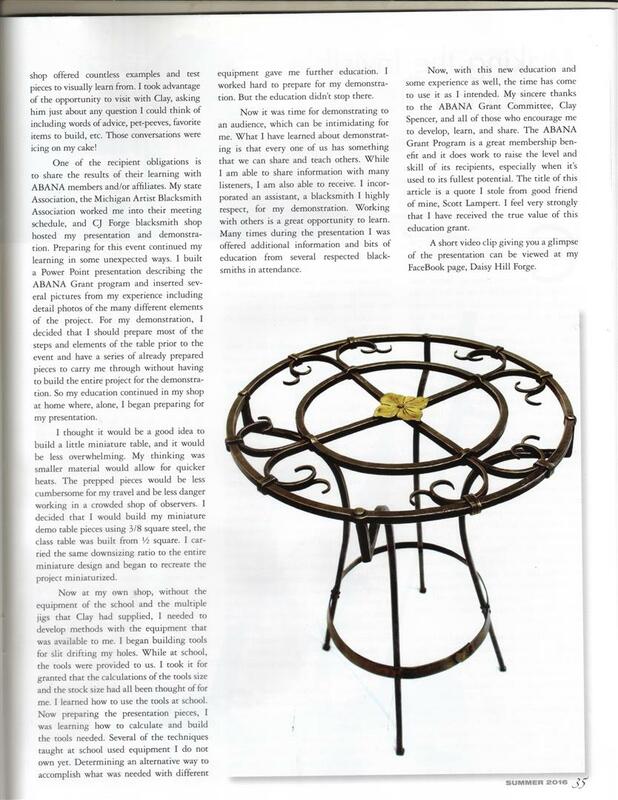 Jennifer received an educational grant from the Artist Blacksmith Association of North America. 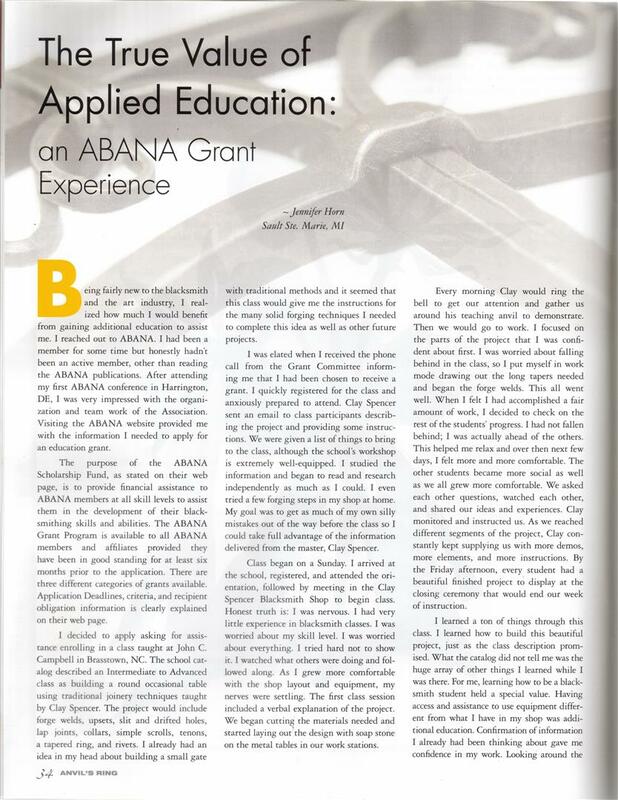 One of the requirements of the grant was that she write an article about her experience for publication in the Anvils Ring, the official magazine of ABANA. Jennifer encourages all Blacksmith’s to join ABANA!